Another grain bowl! It’s my new life. You know this. It’s fine. But this time, my grain of choice is BARLEY. Barely bowls! There’s barely any barley, Bev! Never mind. Barley. I love barley. And I feel like it’s the type of grain that er’berdy has in their pantry. I mean, it might have weevils in it because you’ve not used it in so long, so throw that mess out and get you a new bag. Now you’re in business. I see you nodding your head. 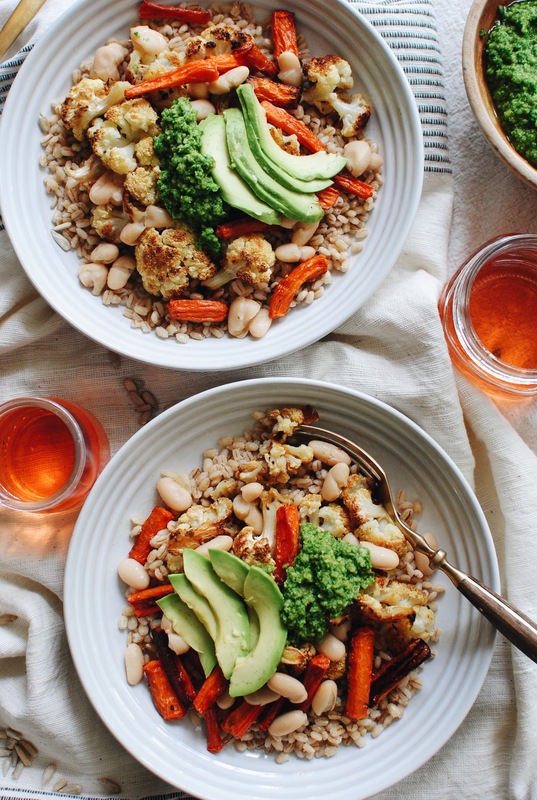 So the trick with roasted cauliflower and carrots is – time. Roast it for days. Months. Or an hour and a 15 minutes, whichever comes first. You reaaaaally want that good browning all over the cauliflower, or else your life will be filled with deep sadness and regret. Don’t let this happen to you. 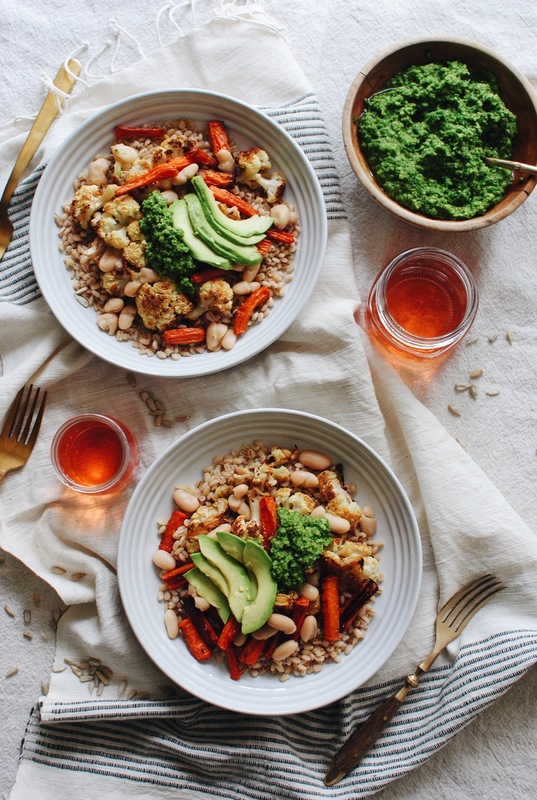 The kale pesto! So hark this – instead of a traditional pine nut (hello second mortgage), I went with a festive pepita! I dig the color, and the salty nuttiness. And the pepita is good, too! One more thing – I just tossed a drained and rinsed can of cannellini beans with a drizzle of olive oil, a pinch of salt and garlic powder. Daz eet. Keep calm and cannellini bean on. And there’s your dinner! You can do it all at the same time, too. Roasting while you’re cooking the barely barley, whizzin’ up that pesto whilst doing all the other things I just said. So REALLY, it only takes a little over an hour and 15. You’re not mad at that, right? These flavors slay. 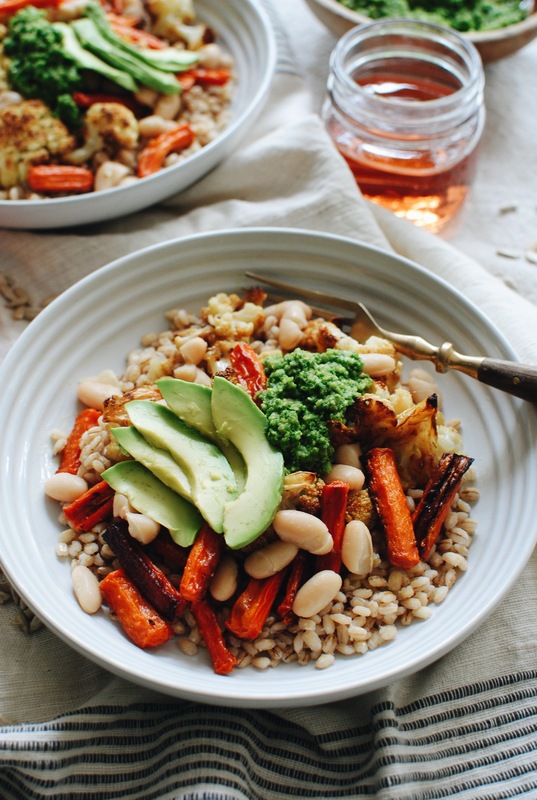 So much roasted happenings and rustic creaminess with the beans, the toothy barely barley all bouncing around in your mouth, all the earthy pungency of the kale pestoooooooo-AH. 1/3 cup extra-virgin olive oil, plus 3 Tbs. 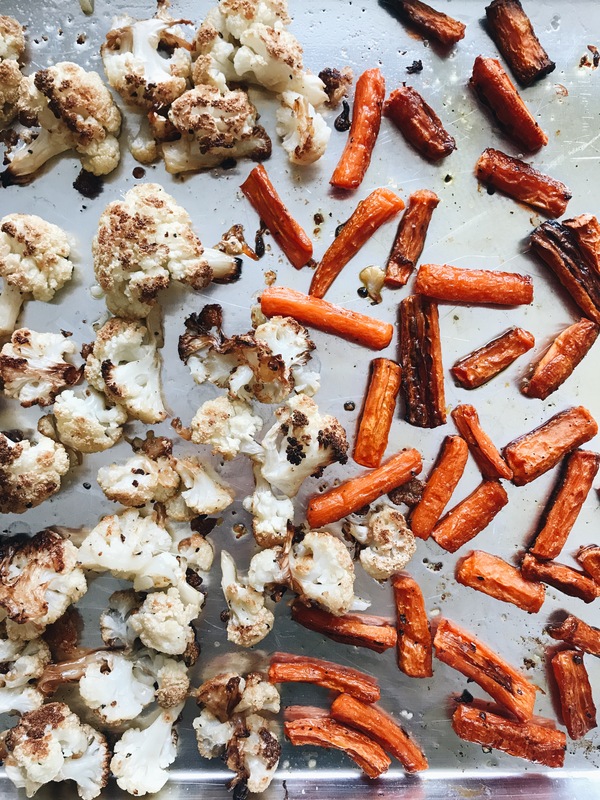 Arrange the cauliflower florets and carrot chunks on a large baking baking sheet. Drizzle with a Tbs. or two of the olive olive and season with salt. Toss with your fingers to coat, and roast for an hour and 15 minutes. Flip it all around at the one hour mark. In the meantime, boil the barley in a pot of salted water until tender, about 30 minutes. Drain any excess water. 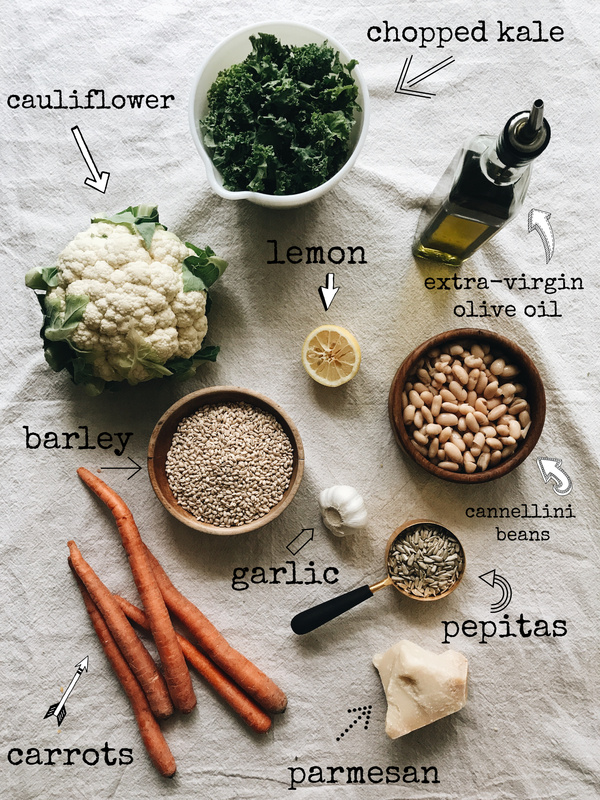 Toss the cannellini beans in a small bowl with a Tbs. of oil, garlic powder and a pinch of salt. In a food processor, add the kale, parmesan, garlic, pepitas, lemon juice and a pinch of salt. 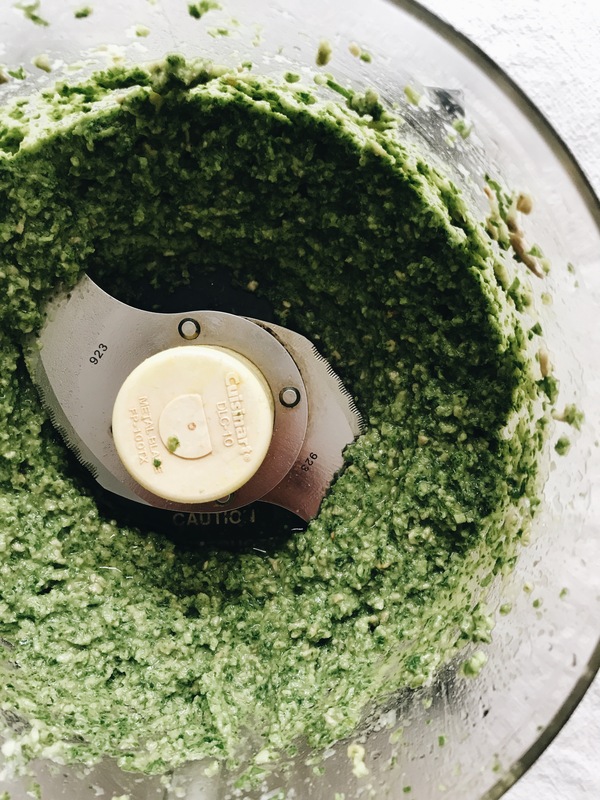 With the motor running, add the oil in a thin stream, until you get a good pesto consistency. 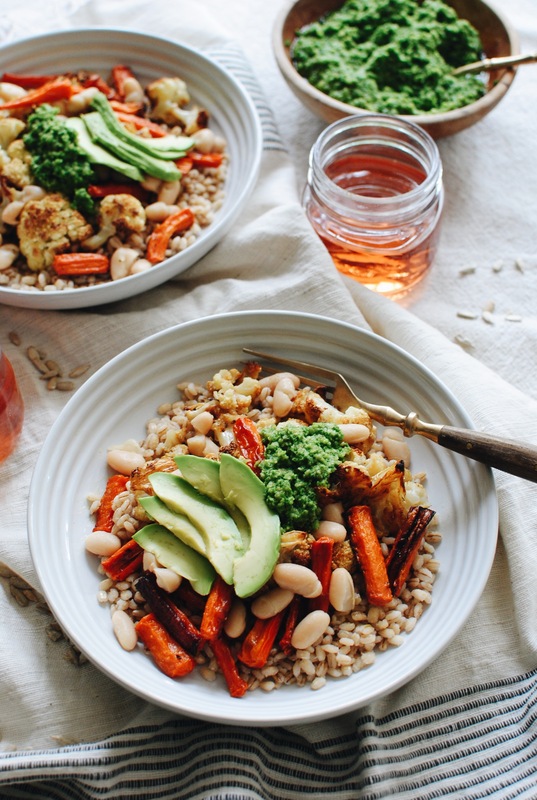 In shallow bowls, ladle with barley, a mound of roasted vegetables, a scoop of beans, a dollop of the kale pesto and a few avocado slices. And then invite me over. 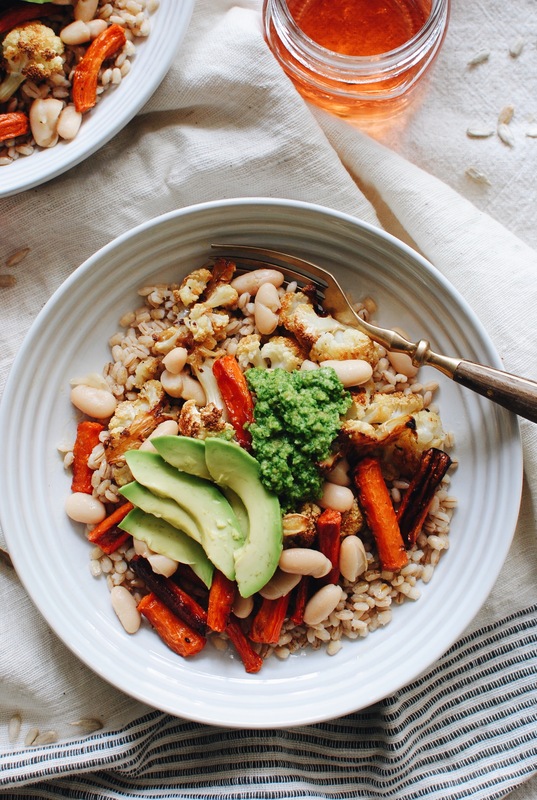 Roasted vegetables especially which you got in this meal are so,so tasty. I like them very mch. Anyway this meal looks very delicious and healthy.